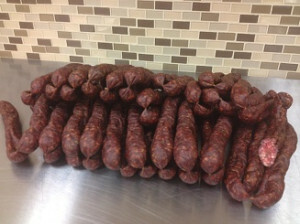 Kulen is similar to a flavored ready-to-eat pepperoni. It is made of low-fat minced pork seasoned with garlic and red paprika which adds color and aroma. Enjoy! 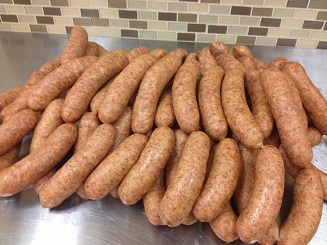 Hot or mild medium ground smoked pork sausage. Our recipe has been perfected to satisfy your taste! 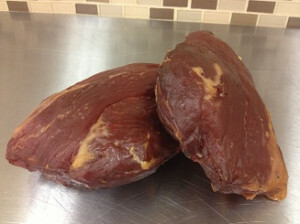 Usually served thinly sliced as an appetizer, either alone or wrapped around another food item. 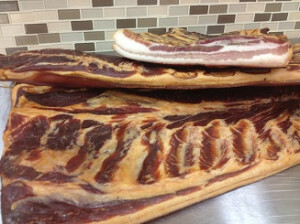 The name says it all: Smoked Bacon. Try it! 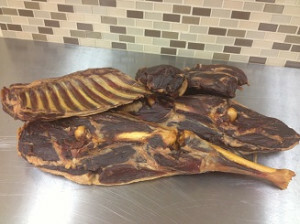 Stelja is a sheep cured and smoked in a traditional manner. 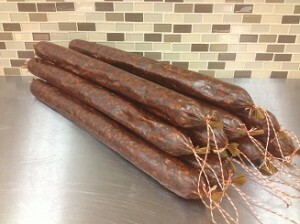 It has a distinct taste and texture enjoyed by many. 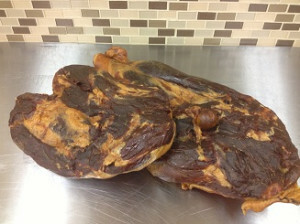 Smoked lean pork inside round. Best served thinly cut. 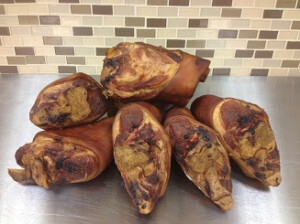 Smoked pork hocks typically used to add flavor to cabbage or bean broths. 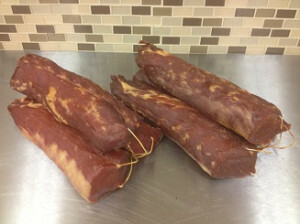 Smoked pork loin typically served thinly cut as an appetizer. 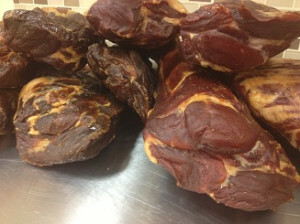 Smoked pork neck served thinly cut. 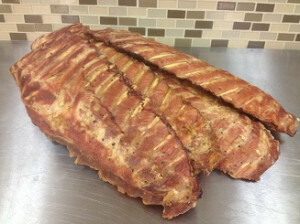 Smoked pork side ribs typically used to add flavor to cabbage and bean broths. 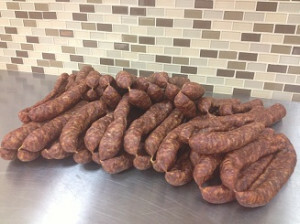 Sujuk is a spicy smoked veal/beef sausage served cold cut as an appetizer.